You'll be £6.80 closer to your next £10.00 credit when you purchase Battleships of the Bismarck Class. What's this? The warships of the World War II era German Navy are among the most popular subject in naval history with an almost uncountable number of books devoted to them. However, for a concise but authoritative summary of the design history and careers of the major surface ships it is difficult to beat a series of six volumes written by Gerhard Koop and illustrated by Klaus-Peter Schmolke. Each contains an account of the development of a particular class, a detailed description of the ships, with full technical details, and an outline of their service, heavily illustrated with plans, battle maps and a substantial collection of photographs. These have been out of print for ten years or more and are now much sought after by enthusiasts and collectors, so this new modestly priced reprint of the series will be widely welcomed. Out of print for ten years or more and much sought after by enthusiasts and collectors, this new edition of the series will be widely welcomed. One should be grateful that this book is back in print... Its technical information remains unmatched and its illustrations take on a dimension all its own. 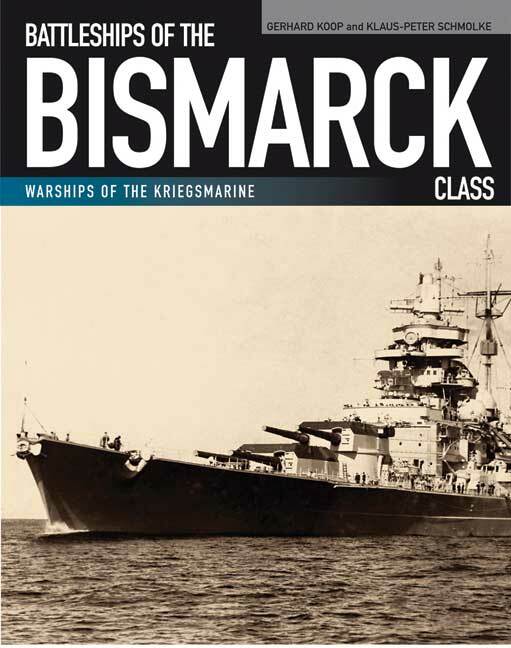 A well-compiled volume, with plans, diagrams and pictures of the two ships that are very well known to English readers, the BIMARCK and the TIRPITZ. An interesting book which represents good value for money to all battleship enthusiasts.